#Throwback Thursday–Here are a few pix of my first paper rush chair seat that I wove in 1975! 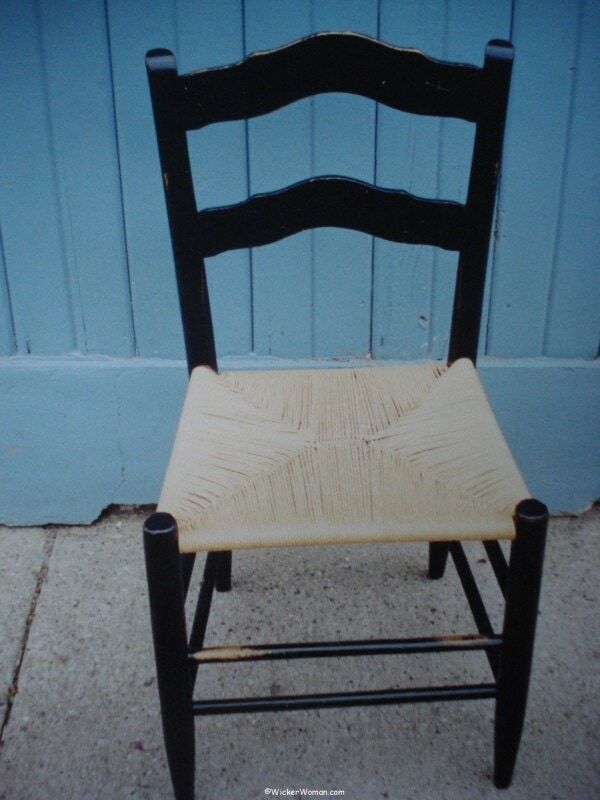 My very first paper rush woven chair seat 1975. 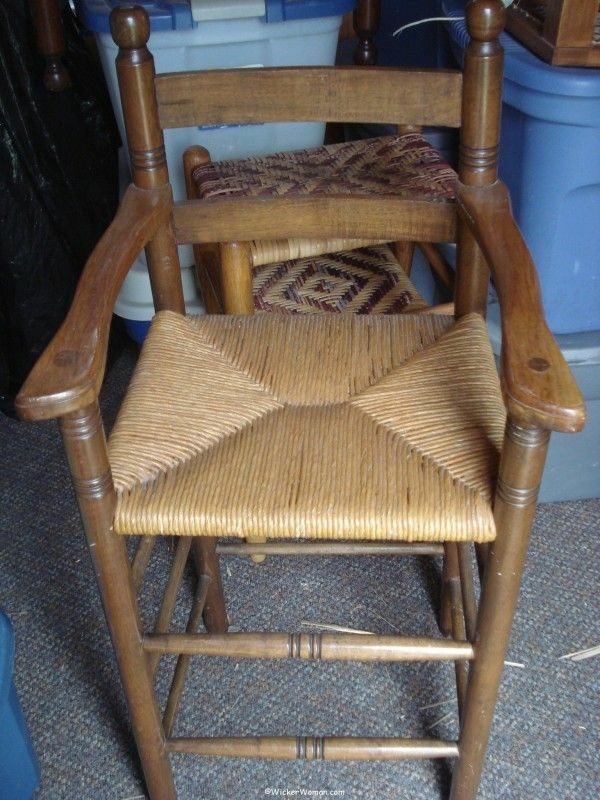 My mother-in-law asked me to weave the rush seat on her chair, knowing I was into refinishing antiques. 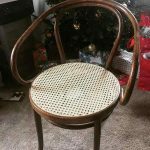 She had done some chair caning herself but didn’t want to learn how to weave rush seats, so thought I’d like the challenge. 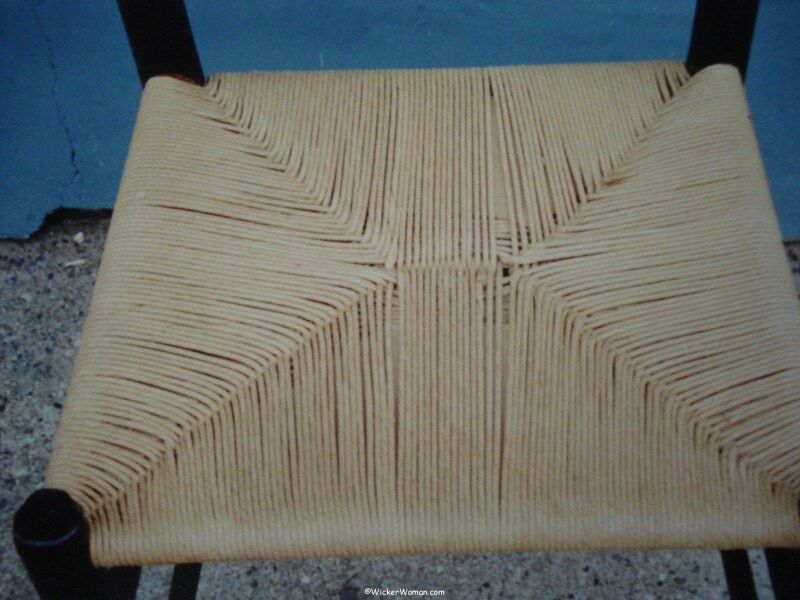 Detail of my very first paper rush chair seat 1975. MIL had the chair frame that was missing the seat. She had already bought the #4 paper fibre rush, which was really too small in diameter, should have used either #5 or perhaps #6 instead. 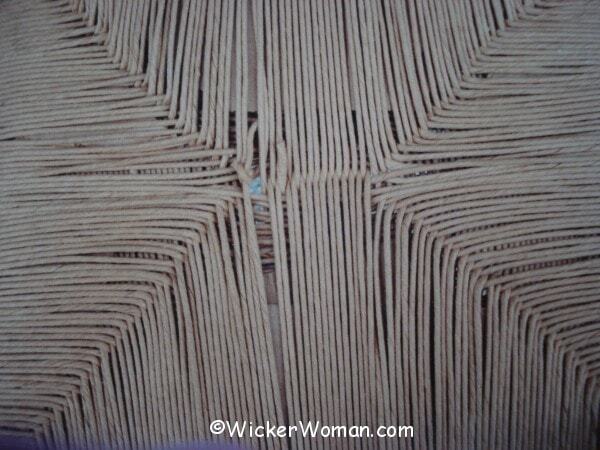 And she had a magazine article with instructions on how-to weave a paper rush seat, so I was all set! Bottom of my first paper rush seat 1975. Since I also had my infant son to care for and my husband, it took quite a while for me to complete the chair seat. And as you can tell from the photos, my efforts were far from perfect! There were big gaps, strands crossing over other strands, and poor splices or joins in the material, made at very conspicuous places. 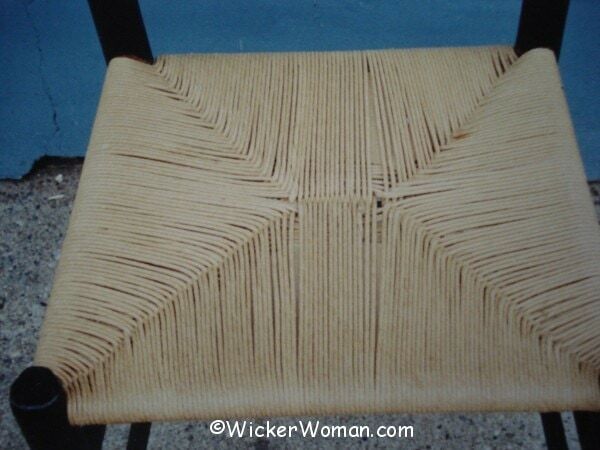 But as we all know, we learn by our mistakes and everyone starts with their first chair seat weaving attempt. 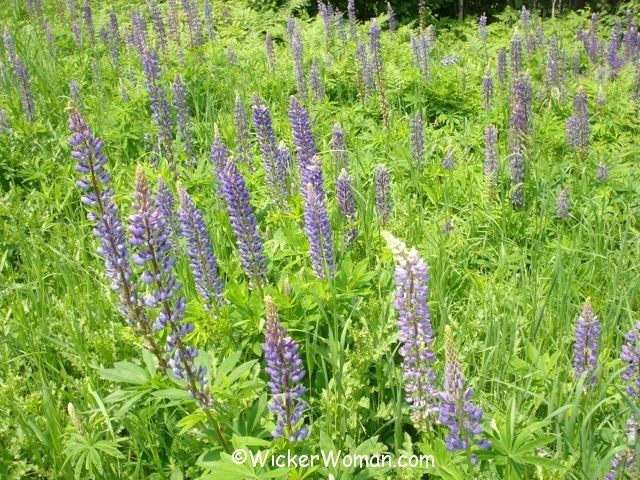 We were all beginners once and must give ourselves permission to explore and take on new challenges. 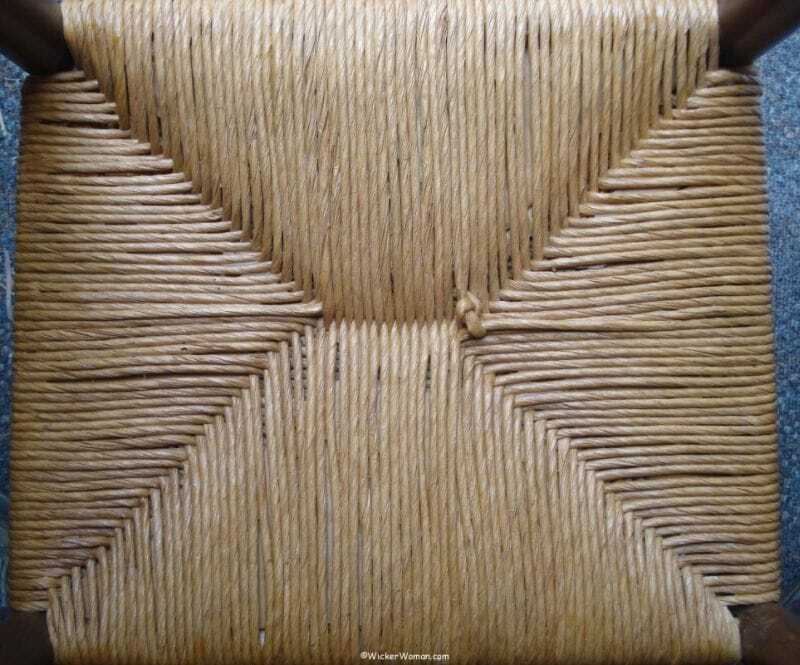 Since weaving paper rush and natural cattail leaf rush were the only types of seats I worked on for about that first year, my weaving skills improved considerably. 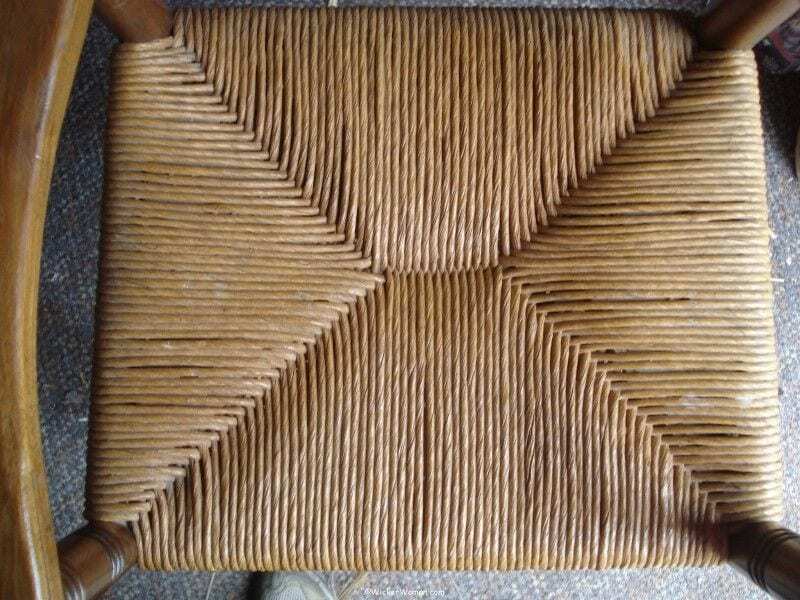 Top of paper rush youth high chair woven in 1976. As you can see by the pictures of the paper rush youth high chair I wove in 1976, there are no big gaps, strands are not crossing over each other, and there aren’t any visible splices or joins. Bottom of paper rush youth high chair 1976. We used this handmade walnut youth high chair with the paper rush woven seat for many, many years first with our son, then with our daughter. And now it’s gone through all three of our grandchildren. Today in 2015, good as new, paper rush youth high chair made in 1976. It’s in just as good of shape now as it was when new, except for a few spills and I think one of our puppies chewed on a leg at some time, leaving some teeth marks. Now, this beloved paper rush chair is waiting in storage for the next grandchild or two! 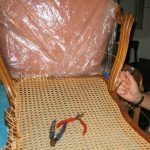 Do you have pictures of your first seat weaving attempts? Care to tell us about them? Love to hear your stories, too. My first rush chair. Trouble is my paper rush unwinds after wetting. There are many times given for wetting the rush. What do you say? Why does it unwind? Sorry to hear you are having problems with your paper rush, that’s something you don’t need when just starting out, for sure. I’m questioning why you are wetting your paper rush though? Are you immersing it in water or only spraying with a water bottle? Since this is a paper product that’s been twisted and has a glue or sizing to keep it twisted, when you wet the “rope” it’s going to unravel, that’s only normal. I don’t advise wetting the paper rush any more than just giving it a light spritz as you are going around and forming the 90º angle corners. 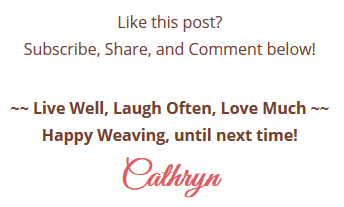 Keep following my posts and subscribe to my newsletter for more hints and tips about weaving with paper fibre rush. Besides blog posts, I’m planning on adding some individual pages on the topic too. Hope this helps! What fun weaving these chair seats will be! 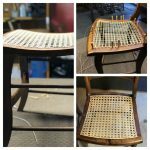 Since this will be your first attempts at weaving rush seats, I would suggest you buy “The Craft of Chair Seat Weaving” by George Stearns, which you can find on my Seatweaving FAQ page. And to answer some of your other questions, depending on the size of the seats, about 2 pounds (1 coil), is usually enough for one seat. 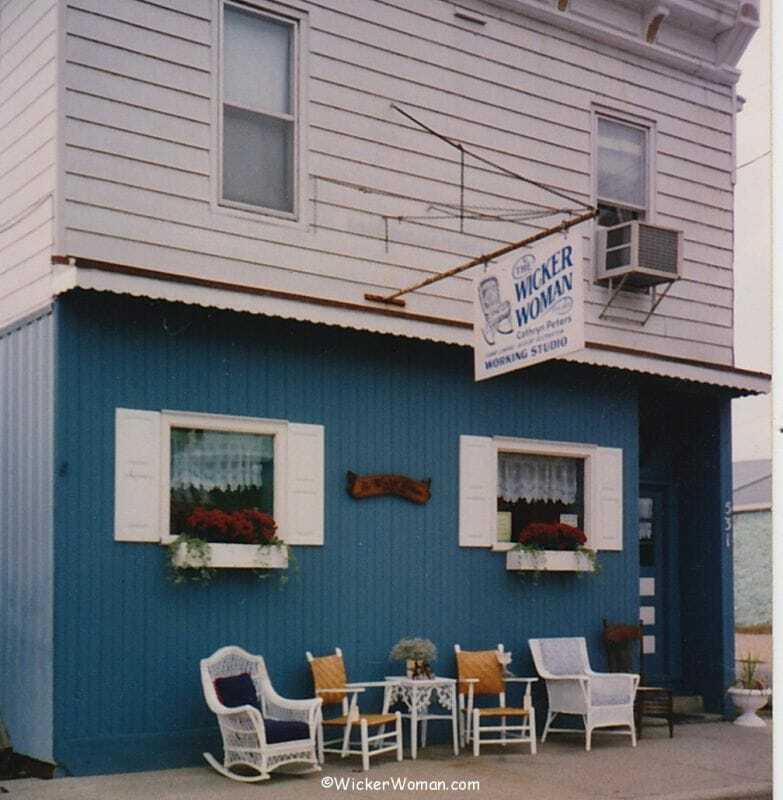 Be sure to buy a bit extra and order enough for all the seats at one time, since there are differences in dye lots, just like in wallpaper. Then you’ll need a good pair of scissors, spray bottle of water, hammer, tape measure, #3 upholsterer’s tacks, small block of wood, glue and/or hog rings and hog ring pliers. 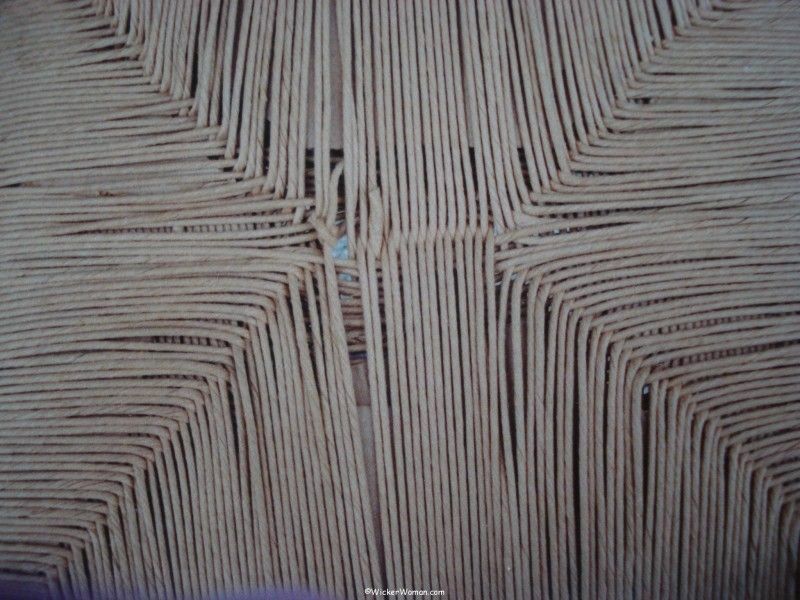 Find all your paper rush seatweaving materials on the Cane and Basket Supplies Directory™, the link can also be found at the top of every page under the SHOP tab. Good luck and keep me posted. Send some pictures of your progress! I enjoyed seeing the pictures of your paper-rush jobs. I am trying to get up the nerve to order the supplies and get started. Is is possible to do a first-rate job in your first attempt. I have two antique ladder back chairs that need new seats. I don’t one to look like a novice did it and the other one to look fine. I am trying to get up the nerve to try it. 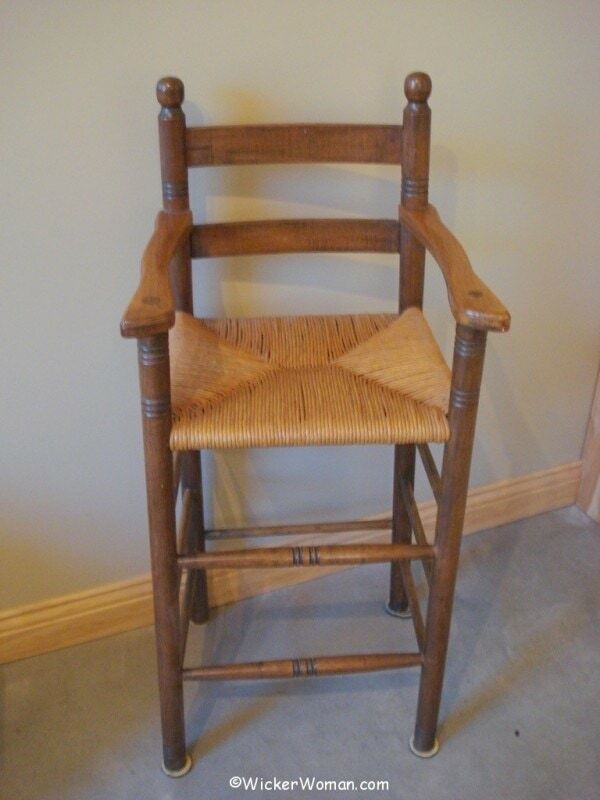 I have two antique ladder back chairs that need new seats. Is is possible to do a great job on your first try — if I try really hard? Sure Jean, you can do a really good job on your first try, and even if it’s not perfect, at least you’ve taken the first step. 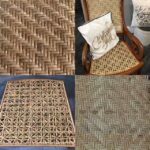 Back in the olden days when I started seat weaving we only had magazine articles, books and pamphlets on weaving a rush seat. There weren’t any classes being taught like there are now either. 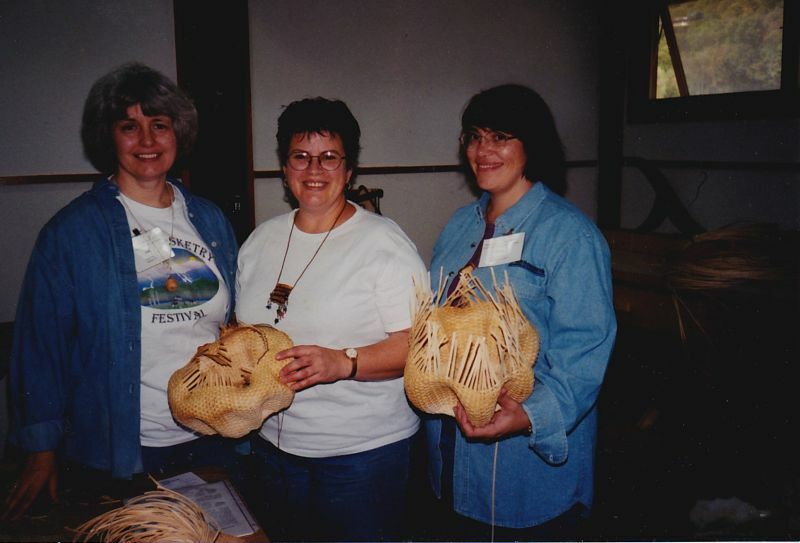 I teach rush seat weaving classes frequently and am offering one again at North House Folk School in Grand Marais, MN. 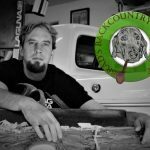 If you can’t take one of my classes, check with your local community education program maybe they are offering one you could attend. 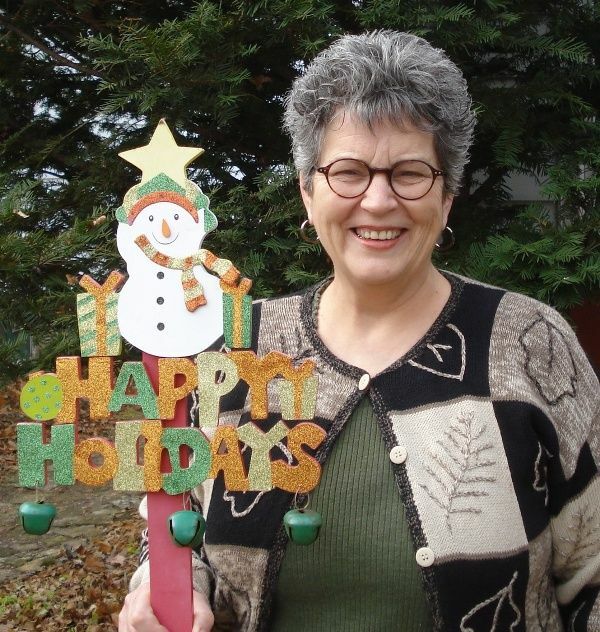 And I would suggest you either purchase some chair seat weaving books or check them out at your local library. 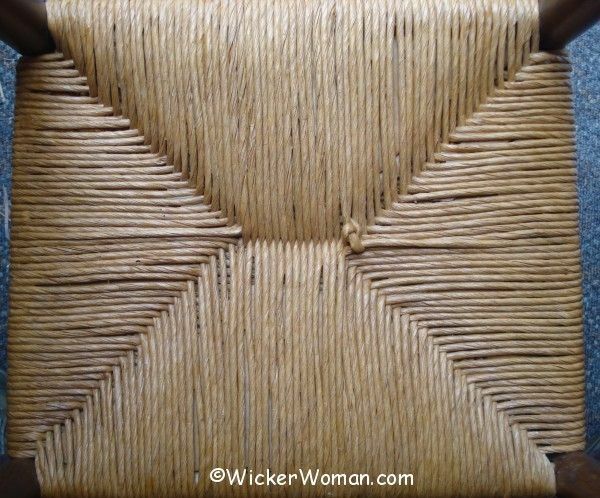 Check my Archives here on the blog too, because I frequently post about weaving with paper and natural rush, give rush weaving tips, and show materials. 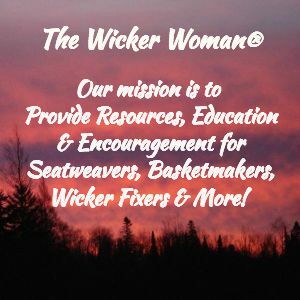 Thanks for subscribing to my blog, hope you find it and the rest of my website helpful!